Tour Leader Debra Stangl is the founder of Sedona Soul Adventures and has assisted thousands of seekers in their spiritual transformations. She has felt that irresistible pull toward Egypt since a very young age. She made her first visit to Egypt in 1983 and had a life-changing experience when she received past life information while in the Temple of Karnak. Since that time she has immersed herself in all things Egyptian and returned again to Egypt in 1996, 2000, 2004, 2006, 2007, 2008 (2 tours), 2009, 2010, 2011, 2012, 2013, 2014, 2015, 2016, 2017 and February 2018 to perform ceremony and rituals in the temples and tombs. Each trip is new and incredible and amazing. 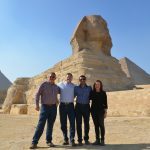 Guardian Travel is one of the premier travel companies in Egypt. They are the official travel guides to Egypt for a number of spiritual organizations, including the Edgar Cayce Foundation. Guardian Travel was founded by Ahmed Fayed who came from a very well known family of archeologists and Egyptologists. 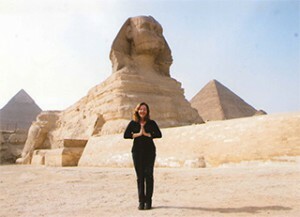 Ahmed became a personal friend of Debra’s and was her guide on her trips to Egypt in 1996 and 2000. Ahmed’s untimely death in 2002 was a shock and a deep loss for the spiritual community. The company has been continued by Ahmed’s wife, Ratiba and his son, Mohammed and their amazing staff. They have always made us feel so taken care of and so at home.